This cutlery is designed by Sezgin Aksu along with Silvia Suardi for Serafino Zani. 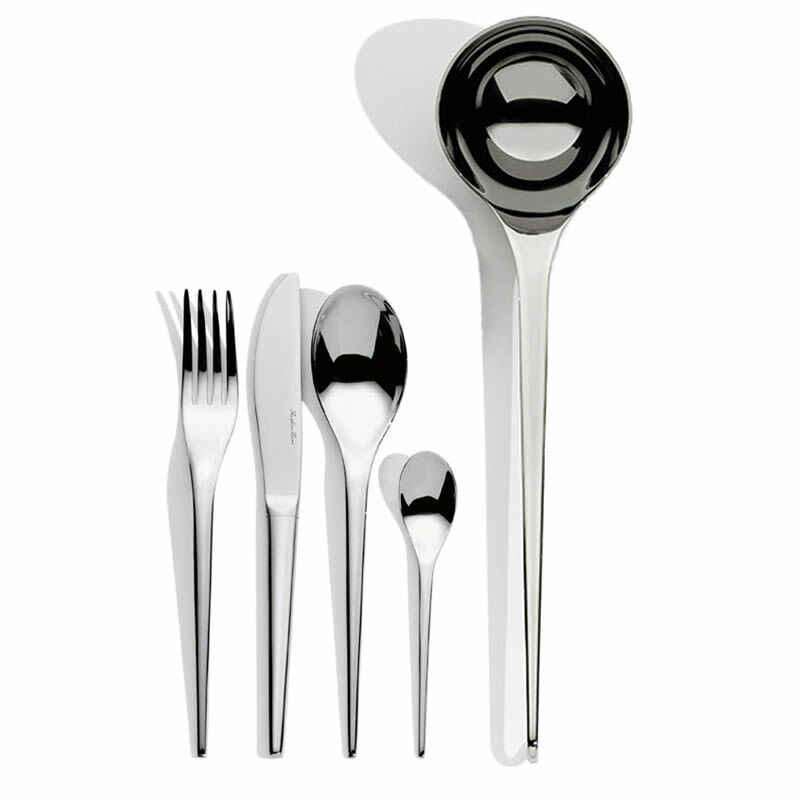 Consisting of 49 pieces, the 18/10 stainless steel set features basic and clean lines that beautifully contrast the item’s bold body. This innovative item is distinctive; however, still quite adaptable, and is suitable for any table – casual or traditional. It's not just a matter of aesthetics - the Kyoto born cutlery originates from the synergy between company designers and technicians, with one perspective drawing inspiration from shape and proportions, and the other from flexible and ergonomic material. Together, they are able to maximize user satisfaction by creating everyday objects that are both high quality, comfortable and easy to maintain. Perfectly balanced and pleasing to the touch, this collection is built from quality, hand polished, and thick stainless steel.